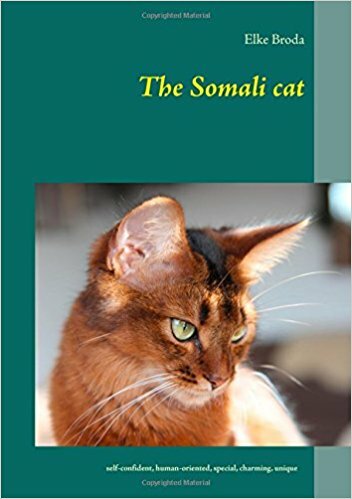 After I have been asked again and again by Somali lovers if there are newer, breed-related readings. I decided to write my own book. around the Somali cats and many photos. the evolutionary history of the Somali, but probably no one will ever know which one to be true. just that. You will never get bored with a Somali! fawn appeared and also variations of silver followed. Especially in UK there are many variations of colours to be found. 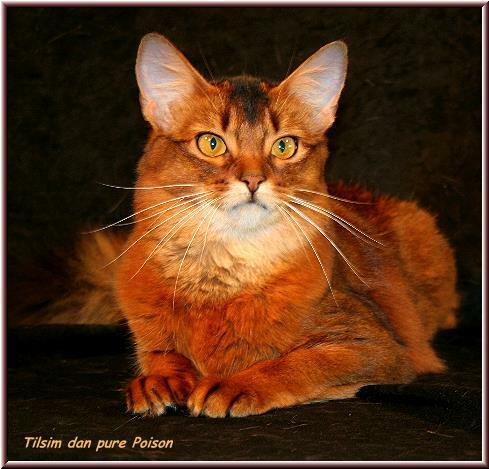 guideline when seeking for the cat coming closest to the requested standard of a breed. you always discover that they are different every time. Tomcats are often cuddlier, more relaxed and sometimes even appear a bit gawky. Queens are supposed to be touchy and bitchy, but from experience - this is something we cannot confirm. There are very balanced creatures in both genders. Between the 6 and 9 month of age a tomcat will notice a female cat. Who takes Care during your Vacation? remain in her usual environment and a familiar trustworthy person would live with her while you are away. a close friend or a neighbour who is willing to take care of your cat while you are on holiday. On average, cats are pregnant for 63 to 70 days. Most cats behave “as usual” during pregnancy, but it varies from cat to cat. Some sleep very much, others are instantly more affectionate and some even get a bit bitchy. 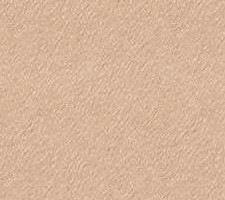 1 - 5 days before giving birth, your queen’s abdomen may “drop” a bit due to false labour pain. coming out, but sometimes this goes unnoticed as the clot of slime comes along while the kittens are delivered. needs a bit more help with grooming from human hand. The location of their sleeping place is suddenly not found as high up as before. setting up a small ladder, a small staircase or podium. Maybe also the cat tree needs a little rebuilding to make access a bit easier. and prey animals approx. 70 – 75%. there was no convenient cat food available. Also most cats were free to go outside and prey. when they also wanted to play with them.